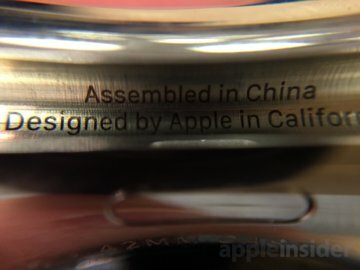 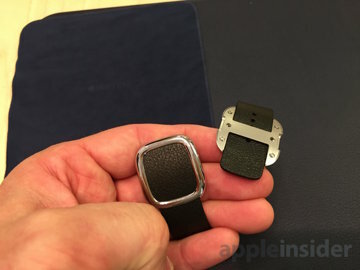 With Apple Watch try-ons now available at Apple retail stores around the world, AppleInsider offers a closer look at the sampling process for the wrist-worn accessory, set to launch in just two weeks. 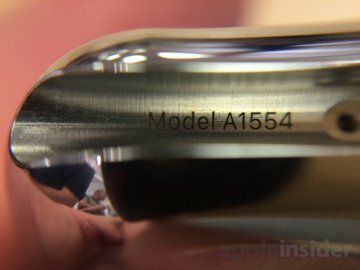 Apple Watch trials come with a 15-minute time limit, and it's advised that customers make an appointment in advance to ensure they will be able to try it out. 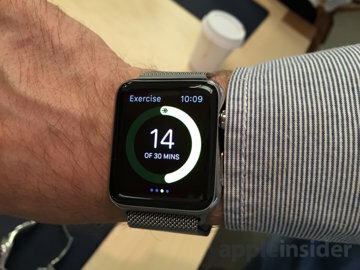 During the 15 minutes, shoppers are free to try on as many different band styles as they please, to see what works best for them. 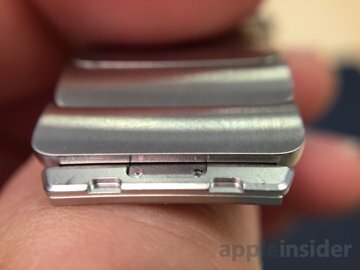 The unit self cannot pair with the user's phone, as the hardware is running in a demo mode that loops a set movie. 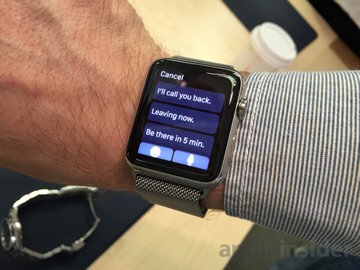 There are, however, fixture mounted Apple Watch units on display in stores that users can play and interact with, as seen in the video below. 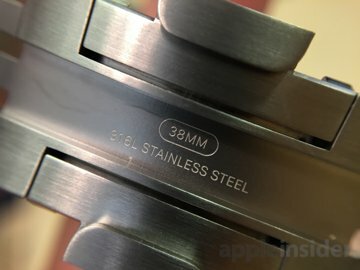 In our experience, the Apple Store had many more stainless steel Apple Watch models in stock for try-on than the cheaper aluminum Sport model. 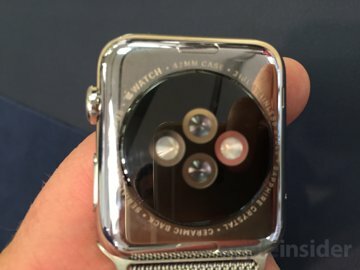 The watches are held in trays within drawers on the display tables, where Apple specialists can grab them and provide them for a shopper to try. 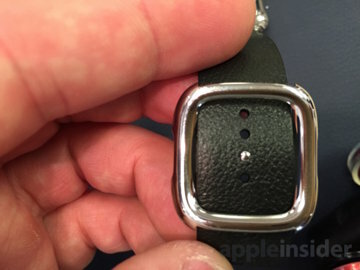 Specialists unlock and open the drawer by holding their iPhone pay terminal up to the top right corner of the drawer. 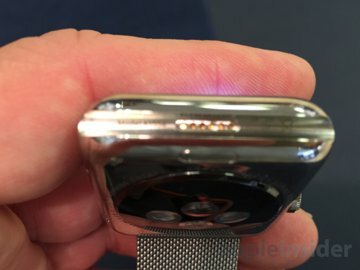 We asked one Apple employee if we were allowed to come back later and try out the Watch again, and they said repeat visits were welcome. There were no restrictions on photography while trying out the Apple Watch. 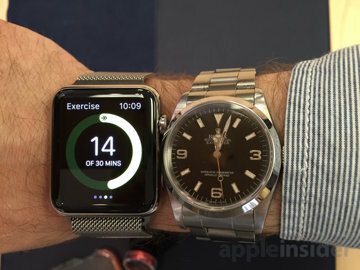 We even put it on next to a 36-millimeter Explorer watch to compare the two side by side. 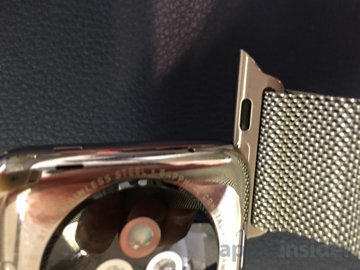 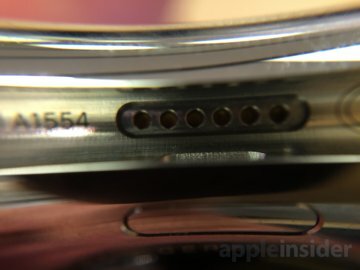 While at the store, we also asked the "Genius" employees whether they have any information about the data port found inside the Apple Watch's strap lug. 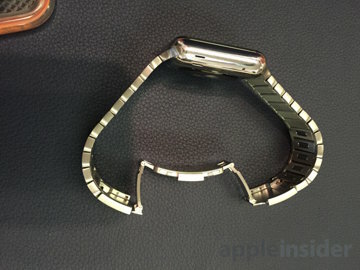 The employees said they were unaware of its capabilities. 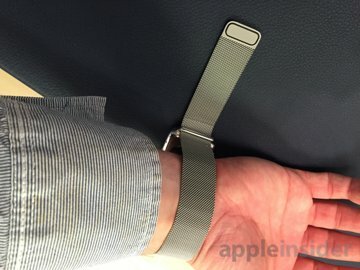 Apple Watch try-on appointments can be made at a local Apple Store through the company's website, or the official Apple Store application available for free on the iOS App Store. 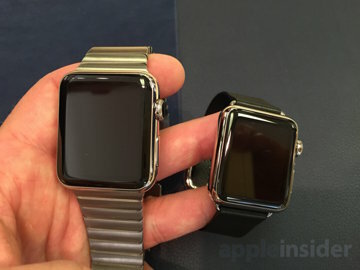 The Apple Watch will become available on April 24, though initial orders are already sold out.